They Tell Their Bird He’s Going To The Vet. His Reaction? HYSTERICAL!! In the video, the bird is heard having some choice words with Dad. He doesn’t want to go to the vet. The funny pet even hides under a table. The bird speaks in gibberish, but you can tell he isn’t a happy camper. 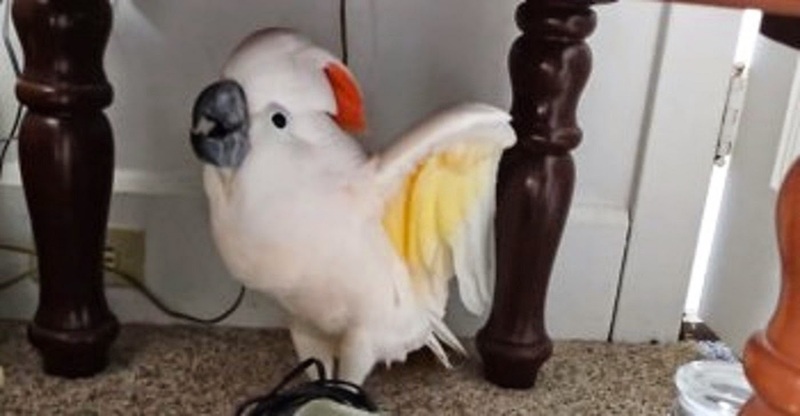 Even though his owner tries to explain to his bird that he needs regular visits to the veterinarian to stay happy and healthy, Max the cockatoo refuses to listen! He’s like a little kid, arguing with dad. And just when you think it can’t get any crazier, he makes his crest stand up to make his point. How funny! This cockatoo is all sass and attitude. When he starts yelling, he sounds just like a toddler. It’ll make you laugh out loud. Please SHARE this funny video with everyone you know.